Insulation is any material, which slows down or impedes the flow or transfer of heat. Each insulation material you find on the market will have what is known as a ‘K-value’. What is this mysterious ‘K-value’, I hear you asking? Well, as simply put as possible, the K-value is a measure of thermal conductivity of a particular material. For the technically minded, it is the measure of the amount of heat, that will be transmitted through one square foot of material that is one inch thick, to cause a temperature change of one degree Fahrenheit from one side of the material to the other. Whilst that explanation sounded very complicated, it basically boils down to the principle that the lower the K-value of a material, the better it insulates. There are a great variety of insulating materials on the market. Insulation includes everything from sheep’s wool and compacted straw bales to Rock Wool, polystyrene, expanding spray foam etc. Basically, you need to select the insulation material that is most suitable for your purposes. 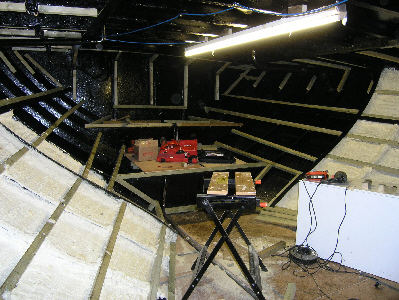 What Factors Should I Consider When Selecting Insulation For My Narrowboat? The purpose of insulation is to ensure that you are kept warm in winter and cool in summer. The first aspect that everyone considers is the cost of the insulation. There is no point in having a nicely insulated boat if you can’t afford the fuel or the docking charges for it! The next important aspect would be the thermal efficiency of the insulation. Not all insulation materials are equal! Different types of insulation need to be applied to varying depths to achieve the same insulation properties. Obviously you are not going to want to sacrifice internal space because of the insulation you choose. You will also want to know the permeability of the insulation material you select, as this will determine how waterproof the material is. 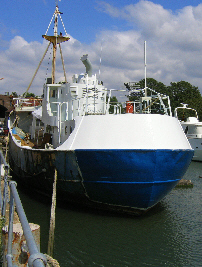 Porous materials like Rock Wool must be vapour sealed to prevent moisture passing through the material and condensing on the hull, where it may cause unseen corrosion. Vapour sealing joints and edges is also required with foam insulation boards and Thinsulate. Spray foam is the only product, which is seamless. If you are planning to save money by installing the insulation yourself, you will need to take into consideration the ease with which the material can be installed. If the material is awkward or difficult to apply, it might result in mistakes being made, which will compromise the effectiveness of the insulation. You also need to make certain that you fully understand the installation of the insulation. Many materials need to be accurately cut to size, otherwise you are going to find that the insulation will not do the job and you may have condensation problems on the hull. Cutting to size will always produce wastage, so budget to buy a bit more if choosing this route. Let’s be honest, not all of us get on very well with a tape measure and a Stanley knife! If you are planning to use a contractor, make certain that you shop around and clarify exactly what is included in the cost of insulating your boat. Some contractors do charge extra for cleaning the surfaces in preparation for the insulation and for masking off windows. Make certain that you hire a contractor in your area; otherwise their transport costs will feature heavily on your back pocket. If your back pocket is anything like mine, it’s not very deep. What Materials Are Available on the Market for Insulating a Canal Boat? Spray Foam – often called expanding foam, this is a spray-on polyurethane foam insulation with a closed cell structure, making it impermeable to moisture. It has the best insulating properties of all the common insulating materials. In the past this needed to be applied by a specialist contractor with expensive equipment, but technological innovations have produced DIY kits like Handi-Foam, which are quite cost effective. This product does not need to be vapour sealed as it bonds directly to the metal or wooden shell of the boat. The advantage of this is that there is no air gap between the metal/wooden shell and the insulation. This means that condensation cannot form behind the insulation and erode the metal or rot the wood. This is the most common method of insulation used in narrowboats, and is almost universally used by boat builders. Polystyrene or Polyurethane Boards – the boards can be applied as a DIY application, however they will need to be meticulously cut to size to ensure a good fit between the battens and vapour sealed as you do not want any gaps in the insulation. 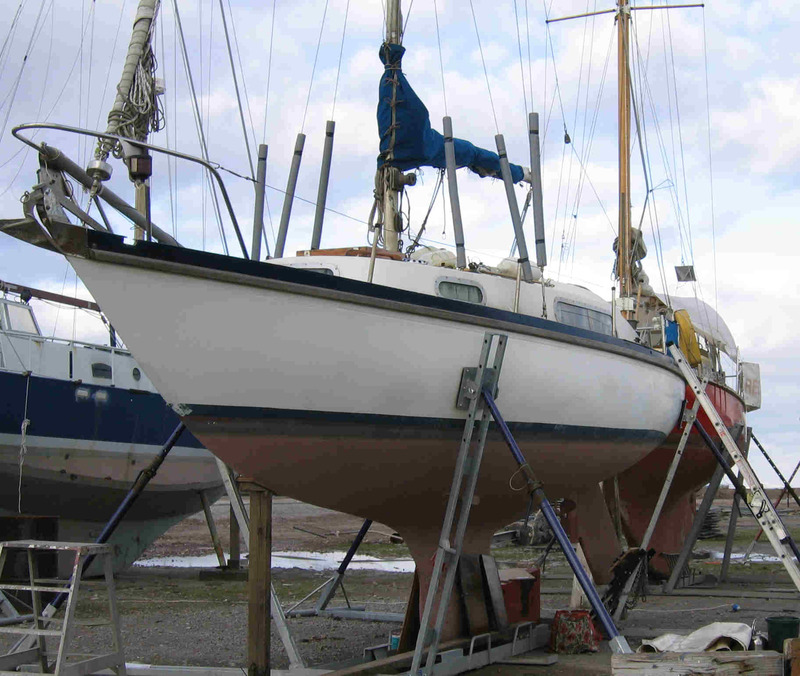 Depending on your batten spacing, you may be in for a lot of cutting and wastage. These boards also have excellent insulating abilities. Celotex (Polyisocyanurate Foam) – the boards can be applied as a DIY application or by a contractor however, as with polystyrene they will need to be vapour sealed and meticulously cut to size. This is a more expensive option than polystyrene/polyurethane foam boards. Excellent insulator. Rock Wool (extruded silicone fibres) – typically this is the cheapest option, and is available in rolls or batts (a compressed board like version). It has about half the insulating ability of spray foam, thus it needs to be approximately twice as thick to achieve the same insulation. You will also need to vapour seal the rock wool and cut it to size. Rock Wool might be the cheapest but it has the worst thermal conductive properties (along with Thinsulate) of all the products mentioned (especially if it has absorbed moisture) and it will result in the sacrifice of space because of the thickness of the layer you will need to apply. Rock Wool can be applied as a DIY application (but requires careful handling because of the fibres) or, a contractor can apply it. Thinsulate – this is relatively new to the market and is available in rolls. It can be applied as a DIY application, or by a contractor however; it needs to be cut to size, glued into place and vapour sealed at the edges/seams as you do not want any gaps. Thinsulate is also an incredibly expensive option considering its’ insulating properties are no better than Rock Wool.